Trump Blasts Mueller Probe As "An Investigation In Search Of A Crime"
Senate Republicans have offered President Trump a degree of relief from his Mueller-related anxieties by blocking a bill that would have protected the Mueller probe from being disbanded by the president, but with the special counsel continuing his pursuit of Roger Stone and Jerome Corsi, and Congressional Democrats sharpening their knives in anticipation of taking back the House in January, President Trump is once again lashing out at Mueller and the FBI, declaring that the probe is an "investigation in search of a crime" and once again highlighting the hypocrisy in the FBI's decision to give the Clintons a pass for their "atrocious, and perhaps subversive" crimes. Reiterating his claims that the Mueller probe bears many similarities to Sen. Joseph McCarthy's infamous anti-Communist witch hunt, Trump also blasted the DOJ for "shattering so many innocent lives" and "wasting more than $40,000,000." "Did you ever see an investigation more in search of a crime? 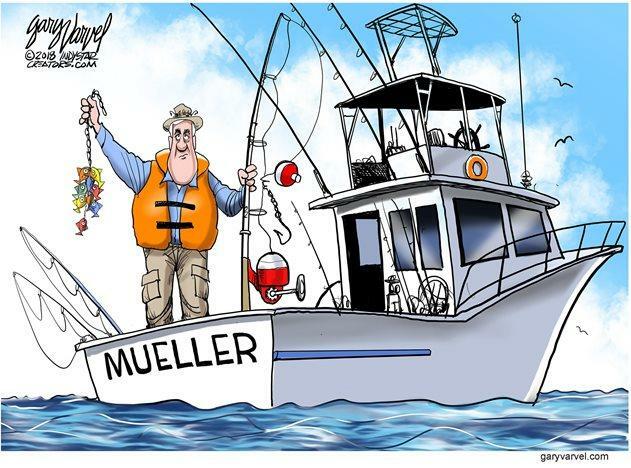 At the same time Mueller and the Angry Democrats aren’t even looking at the atrocious, and perhaps subversive, crimes that were committed by Crooked Hillary Clinton and the Democrats. A total disgrace!" "When will this illegal Joseph McCarthy style Witch Hunt, one that has shattered so many innocent lives, ever end-or will it just go on forever? After wasting more than $40,000,000 (is that possible? ), it has proven only one thing-there was NO Collusion with Russia. So Ridiculous!" As CBS News' Mark Knoller notes, this is the 2nd day in a row, Pres Trump likening the Mueller investigation to the Joe McCarthy witch hunt of the 50s, known for making reckless and unsubstantiated accusations against officials he suspect of communist views. McCarthy was eventually censured by the Senate in 1954. Last night, President Trump threatened to release a trove of "devastating" classified documents about the Mueller probe if Democrats follow through with their threatened investigations. He also declared that a pardon for soon-to-be-sentenced former Trump Campaign executive Paul Manafort was still "on the table.